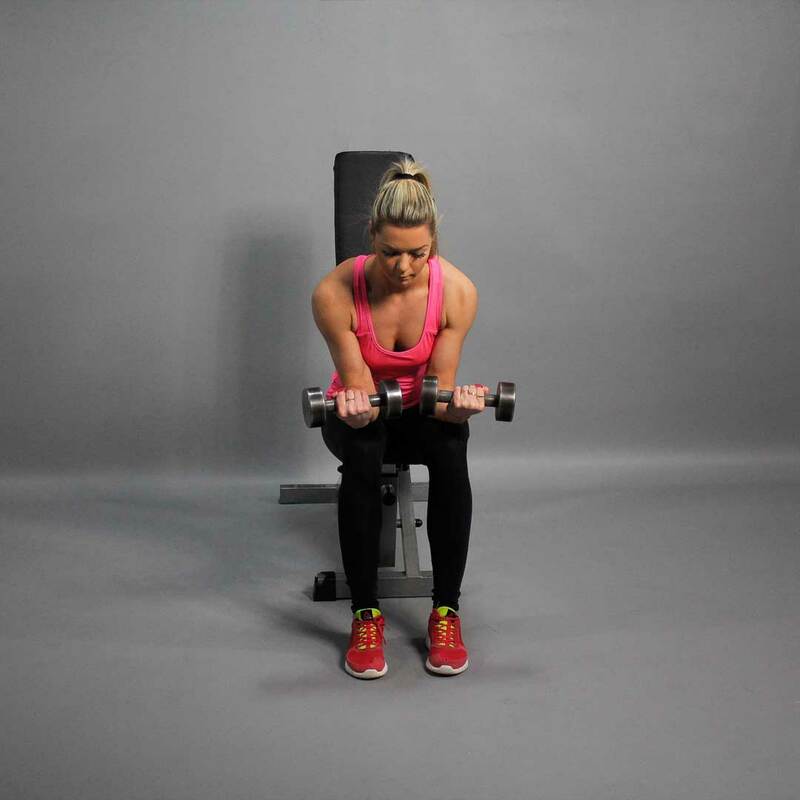 Place two dumbbells on one side of a flat bench. Sit on a flat bench. Feet are shoulder-width apart. Grab the dumbbells with a supinated grip (palms up) and bring them up so that your forearms are resting on top of your thighs. Your wrists should be ahead of your knees. This is your starting position. Exhaling, curl your wrist upwards. Inhaling, slowly lower your wrists back down to the starting position.